Tennessee has been in play in the grad transfer market the last couple years under Rick Barnes. Before the start of last season, the Vols brought in James Daniel III from Howard to serve as veteran point guard alongside Jordan Bone. UT attempted to bring in Richmond transfer guard Khwan Fore before this current season, but he ended up decommitting from Tennessee and signed with Louisville instead. Now, it looks like Tennessee could be trying to bring in a transfer this upcoming offseason as well. 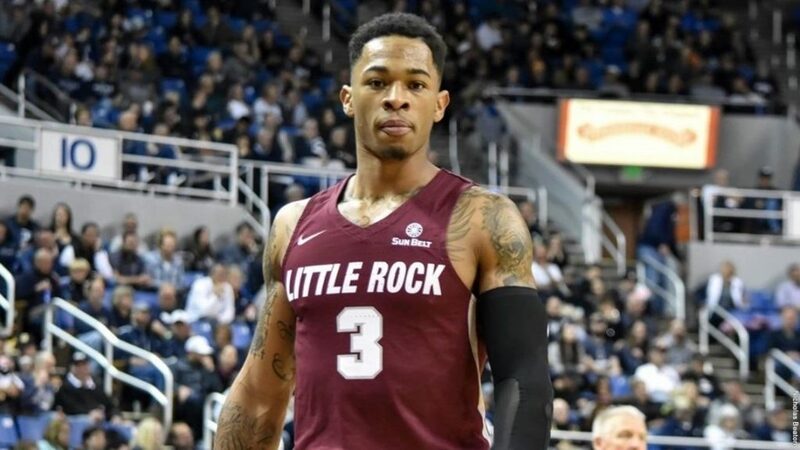 According to Evan Daniels of 247Sports, the Vols are one of many schools that have reached out to Little Rock grad transfer guard Rayjon Tucker. Tennessee is joined by schools like Gonzaga, Oklahoma State, Boston College, NC State, Michigan, USC, Seton Hall, and Oregon in reaching out to Tucker. The new schools to reach out to Little Rock transfer Rayjon Tucker are Gonzaga, Oklahoma State, Boston College, NC State, Michigan, Tennessee USC, Seton Hall and Oregon. Evans would go on to tweet that Tucker has already scheduled a visit with Nevada, a team not mentioned in the tweet above, for this upcoming weekend. This past season with Little Rock, Tucker averaged 20.3 points, 6.7 rebounds, and 1.8 assists per game in 30 games for the Trojans. He made 49.1 percent of his shots and connected on 41.1 percent of his three-pointers. Tucker totaled six double-doubles for Little Rock this season and eclipsed the 20-point mark in 15 of the 30 games he played. The 6-foot-5, 210-pound guard started his playing career at Florida Gulf Coast but transferred after two seasons there, sat out a year, then played for Little Rock this season. Coming out of high school, Tucker was actually a four-star prospect on 247Sports. Their analysis had him as the No. 130 overall player in the 2015 recruiting class, though their composite rankings had him as a high three-star. Tucker was a McDonald’s All-American at Northside Christian Academy in Charlotte, North Carolina. While at Little Rock, Tucker scored 610 points on the year, becoming the fifth player in program history to reach the 600 point mark. His 20.3 points per game rank fourth in Little Rock history in points per game in a season. Little Rock actually played two opponents that Tennessee faced this season. The Trojans faced fellow Sun Belt team Louisiana twice, losing both times, and they played Memphis as well, losing that contest. Tucker scored 29 points and grabbed four boards against Memphis and scored 36 points and 19 points in the two games against Louisiana. Right now, Tennessee doesn’t have a scholarship spot to use for Tucker, but there’s a possibility that either point guard Jordan Bone declares early for the 2019 NBA Draft or someone off the current roster transfers. If that happens, then Tucker would have a spot at UT if he elects to come to Knoxville. 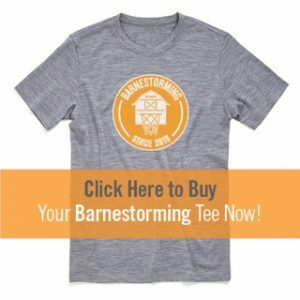 It’s likely UT’s coaching staff is just doing their due diligence by reaching out to transfers just in case there’s a departure off the roster besides Admiral Schofield and Kyle Alexander graduating, but it does make it look more likely something unexpected could happen to Tennessee’s roster given this news. Five of the other schools that have contacted Tucker made the NCAA Tournament this year, and the one school Tucker has already planned a visit to was a popular darkhorse pick to make some noise in the postseason. It looks likely that Tucker wants to go somewhere where he can have postseason success. We will update as more details emerge.